Technology is evolving at an incredible pace. Because things change so quickly, it’s impossible to predict what the workplace will look like even just 10 years from now. We are able to make pretty accurate guesses about what types of advancements and trends are likely to develop in the near future, though. Having the ability to look forward to the new year can make a huge difference for small businesses that are trying to stay ahead of the curve and be prepared for what’s next. Read on to see our predictions for 2018, and be sure to keep these on your radar in the coming months. Remember when AI was just the stuff of sci-fi movies? Although we’ve seen artificial intelligence continuing to grow and advance in recent years, we expect to see the technology really take off in 2018. A growing number of small businesses have already made the switch to the Microsoft Windows 10 OS and have started to take advantage of the assistance that is offered through Cortana. As enterprises get more comfortable with this type of artificial intelligence, they will continue to embrace other forms of AI in order to improve their business models, build better relationships with their customers, streamline and improve analytics capabilities, and so much more. Modern employers want more than just workers who show up, perform routine tasks, collect a paycheck, and go home. Instead, business owners and managers alike are pushing for creative, innovative, and enthusiastic employees who are empowered to vocalize their ideas and take ownership of the brands they work for. Technology solutions like Microsoft 365 Business will help team members work together and collaborate in order to streamline processes and improve the way you do business. If your business hasn’t already moved to the cloud, 2018 is the year to get it done. Cloud computing is not only much more cost effective for small businesses, but it’s also simpler and more efficiently functional. You and your team will find that it’s much easier to share and access information, and to communicate both internally and with customers when you’re taking advantage of cloud services. By now, it’s pretty clear that mobile consumerism isn’t going anywhere. Today’s Americans aren’t just browsing for information on mobile devices, either. 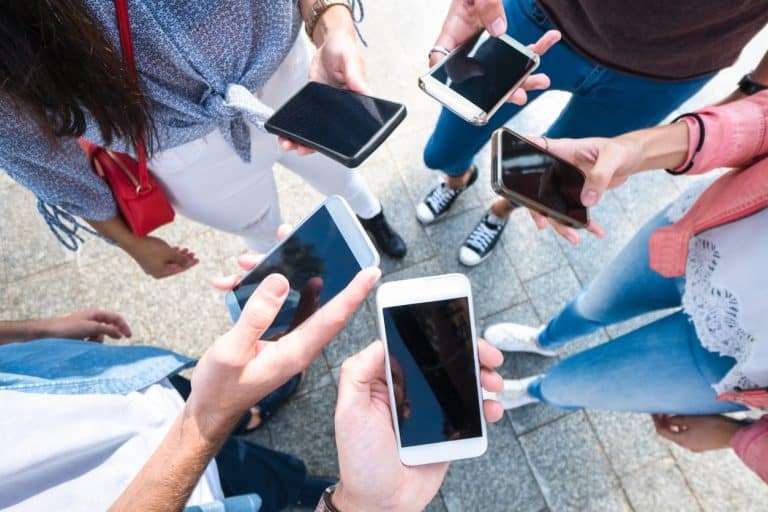 Beyond this, an ever-increasing number of adults – from all demographics – are doing their shopping via mobile phones, tablets, wearable tech, etc. Small businesses will be working hard in 2018 to improve their mobile accessibility and to simplify the mobile shopping process for their customers. This means running tests on existing websites to ensure that they are mobile-friendly, making changes where necessary, and encouraging clients to interact with small business mobile websites. Small businesses may also dedicate time to developing their own apps in order to improve consumer experiences. Did you know that the U.S. currently ranks fifth, worldwide, for being a cashless country? We currently come in just behind Canada, Sweden, the UK, and France. As more and more people ditch their dollar bills, small businesses need to be prepared to meet this trend. This means more than just having a card reader on hand, however. The most successful small businesses in 2018 will be those that embrace mobile payment technology. Does your business currently support Microsoft Wallet, Google Wallet, or Apple Wallet? If not, it’s time to start looking into the tech required to meet your customers’ demands in the new year. Need some help readying your business for 2018? Do you have questions about the tech trends that are likely to rock the new year? Reach out to the experts at Uncommon Solutions for more information today.